Hiya guys! Isn't this week flying by? It always works out that way, like when you have a million things to do, haha. But I don't mind it too much since it means we will be closer to the Across The Universe themed Polish Pickup. Better get ready to add another to that wish-list! Wallets and ninja fingers are ready to get all the polish. I feel like there should be such a thing as finger works outs for such occasions... Okay that sounded dirty to me and I swear I didn't mean it, haha. 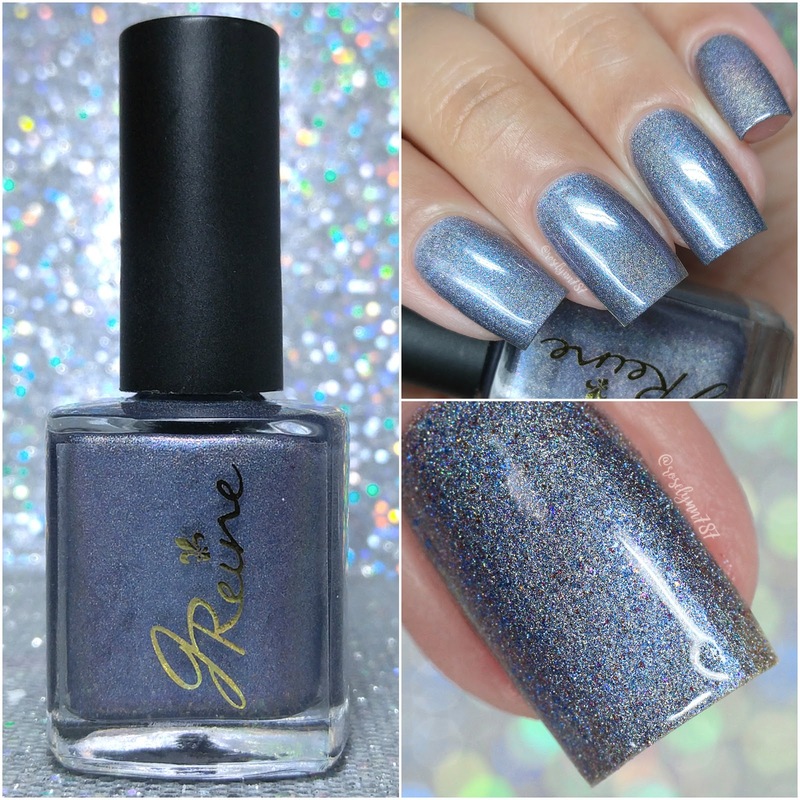 Moving on... For today I'm sharing swatches for The Galaxy Rocks by JReine Cosmetics, which is the April contribution to the Polish Pickup Collaboration. This is not only a new brand to me, but also their first time participating in PPU. Without further ado, let's get to the swatches! 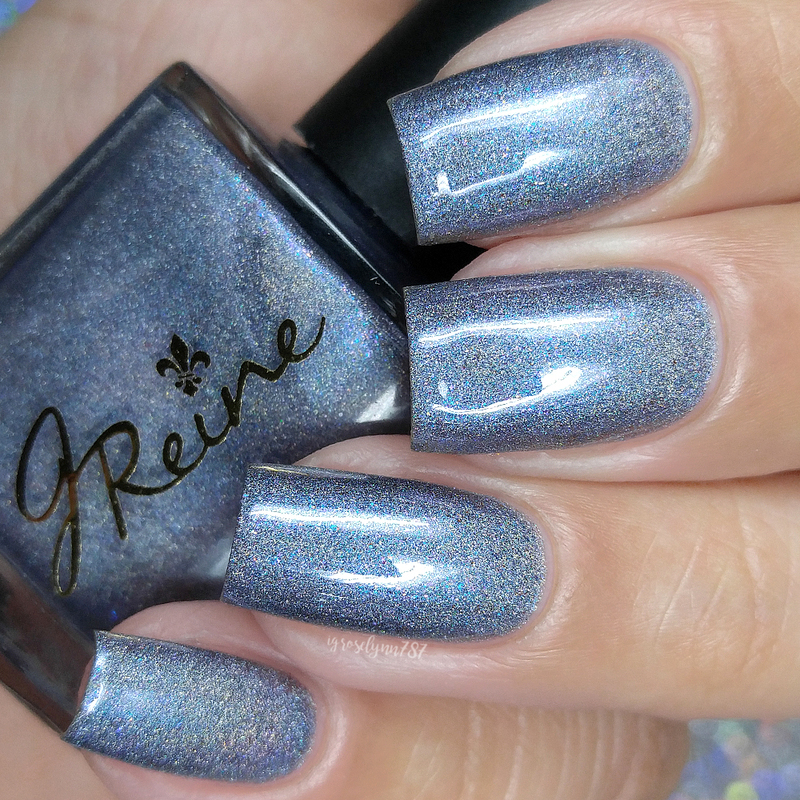 The Galaxy Rocks by JReine Cosmetics will be available for purchase through the Polish Pickup Shop Friday, April 6th at 11AM EST through April 9th. The full-size 15mL shade will retail for $12.50 each and there is a generous cap this month at 240 bottles. If you're not familiar with the concept, the Polish Pickup offers a fun, interactive experience that allows you to submit theme ideas, vote for your favorite theme, and selectively purchase your favorite polishes every month. As I mentioned before, the theme that was voted for April is Across the Universe. This month Jill found her inspiration from a photograph of the galaxy. The Galaxy Rocks can be described as a holo duo multichrome that shift between green, blue, pink, purple, red and aqua with pink and blue micro flakies. There are also flecks of pink, violet, turquoise and copper. Let me just start off by saying I had to put this back on after I finished swatching so I could wear it all weekend, haha. I absolutely love it, it's gorgeous and so much more shifty than photos could capture. One thing I definitely appreciated was the softness of the colors, it feels perfect for the Spring. It meshes really well against my skin-tone and didn't bring out too much warmth like light shades usually do. The formula leans on the sheer side, but ends up building up beautifully for full coverage. The sheer application felt more fault of my own than the polish as I was using way to light of a hand while swatching. It has a well balanced consistency, not too thick or too thin. Very nice almost creamy feel to the base, it felt like a flawless layering process. It dried down to a smooth high-shine finish on its own. Shown here in two to three coats plus topcoat. 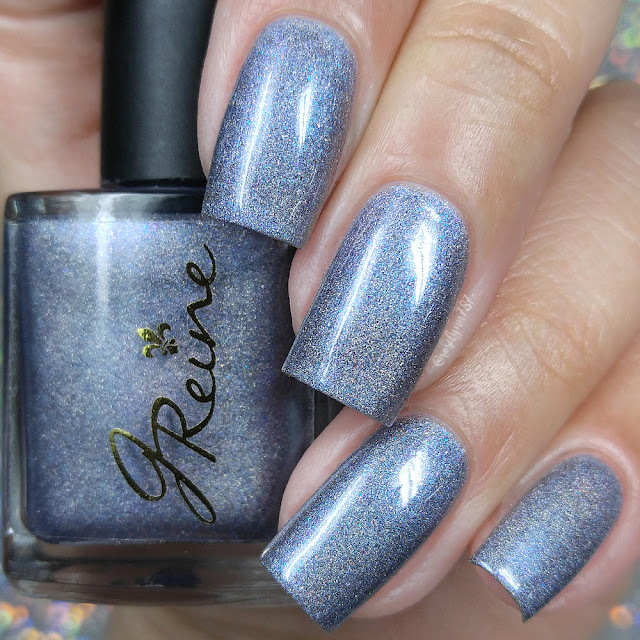 To recap, The Galaxy Rocks by JReine Cosmetics will be available for purchase through the Polish Pickup Shop Friday, April 6th at 11AM EST through April 9th. The full-size 15mL shade will retail for $12.50 each and there is a generous cap this month at 240 bottles.